Both the queen and Victoria looks good! I want Victoria's dress with the red pumps and her clutch that she pairs with them! Victoria's white and red floral dress looks very pretty. 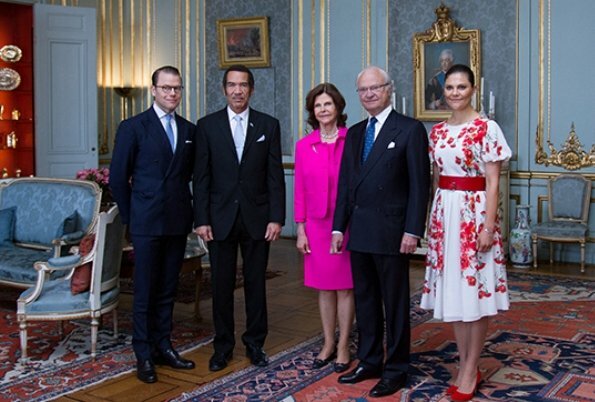 Queen Silvia looks very lovely in pink. Victoria's dress is lovely! I want it too! The Queen is just meh. Nothing unusual. She could up her style game a bit. Yes, the queen looks boring here. 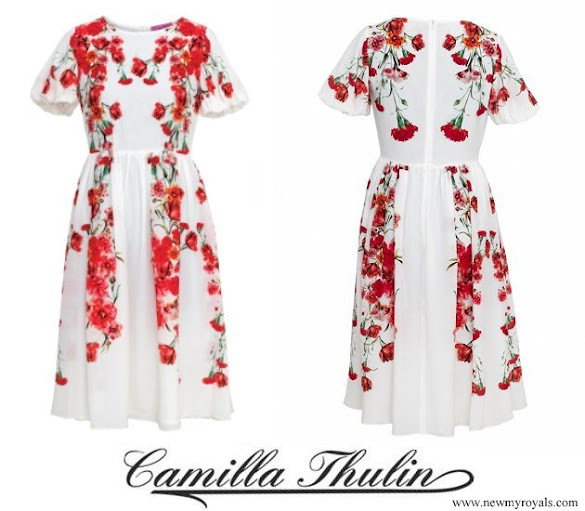 She wears so many suits like that in plain, bright colors - wouldn't a summery print dress be a fresh change? It is midsummer-time for the North and many are celebrating. I hope she will have some fun with her outfits. She is an attractive woman, with a slender figure, so she could wear a lot of elegant outfits instead of those boring suits. I agree, she should have some fun with her clothes. She is comfortable in a certain style and she stays with it. As far as I am concerned, she's got nothing to prove. A dignified, always smiling lady who has not set a foot wrong. Quite admirable in her quiet and not boring ways. I think many royal ladies could learn from Silvia. It hurt my eyes looking at the bright pink of Silvia's. Victoria's dress is OK but the belt is way too big. And of course the tight bun again makes her look older. Gosto dos looks da Rainha Sílvia e da Princesa Vitória :) Não gosto é do ar triste da Rainha Sílvia :((. Onde está o seu belo sorriso?